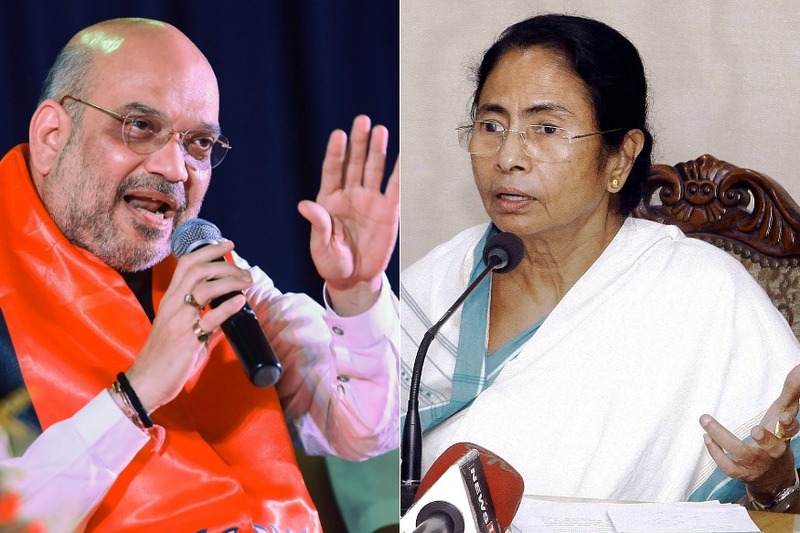 Kolkata: The Bharatiya Janata Party has accused the Trinamool Congress government in West Bengal of creating hurdles in getting permission to hold a rally in Darjeeling where BJP national president Amit Shah is scheduled to campaign on April 11. Chief Minister Mamata Banerjee is also set to rally in Darjeeling on the same day. Darjeeling will vote in the second phase of Lok Sabha elections on April 18. The BJP has fielded Raju Singh Bista, a candidate who is backed by the Gorkha National Liberation Front and Bimal Gurung faction of Gorkha Janmukti Morcha, from the hilly district of Bengal. “We are facing difficulty in getting permission from the DM office to hold Amit Shah’s rally at the Gorkha Stadium in Lebong, Darjeeling. The district administration is not responding to our requests, apparently because the CM is also scheduled to hold a rally on April 11,” said Darjeeling BJP president Manoj Dewan. Left with no choice but change the venue, the BJP decided to shift Shah’s rally to Kalimpong. Dewan said that that party has requested the DM’s office in Kalimpong to grant them the permission to host the BJP chief at Dr Graham’s Homes school field for the rally. In response to the allegations made by the BJP, Darjeeling DM Joyoshi Das Gupta denied receiving any such requests from the saffron party. “I have not received an official request from them (BJP) seeking permission to hold a public rally in Darjeeling,” she said. Even the District Magistrate of Kalimpong, Dr Vishwanath said that he has not yet received any such formal requests. “As per the Election Commission’s instruction, any political party who wants permission to hold public rallies should send their request through the ‘Suvidha’ App, which applies to all seats across India and not just Kalimpong. So far, I have not received any such request through a proper channel,” the DM said. The BJP has frequently alleged that Banerjee has “intentionally” denied them permission to hold rallies in West Bengal. A few months ago, Shah’s chopper was blocked from landing in Malda and the same was done to UP Chief Minister Yogi Adityanath in February.